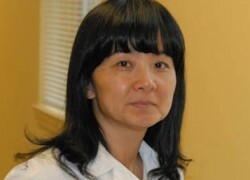 Ms. Li-Lin Chiu is currently the staff Nurse Practitioner for Henry Wise Wellness Center at Bowie State University. She has been in this position since November, 2005. Prior to her arriving at Bowie State, she worked as a Registered Nurse at a number of health care organizations for 15 years, to include serving as OR/Med-Surg RN at one of the largest teaching hospitals, Tri-Service General Hospital, in Taiwan; Staff nurse at Hill Heaven Rehab Center in Salt lake City, UT; and Float Pool/Maternal Child Health RN/Charge Nurse at Johns Hopkins Medicine-Howard County General Hospital in Columbia, MD. Ms. Chiu received her undergraduate degree in Nursing from University of Dubuque. She earned her Master's Degree in Patient Care Service Administration from University of Utah. In 2005, she graduated from the Post-Master Nurse Practitioner program in University of Maryland, Baltimore. She is a certified Women's Health and Adult Health Nurse Practitioner. Ms. Chiu currently lives in Howard County, MD with her husband and two kids.